If you had said, three years ago, that we’d be excited about an Aquaman movie, we would have laughed at you. Yet, here we are, squirming in our seats, antsy because we still have to wait three more weeks until the film is released on December 21st. 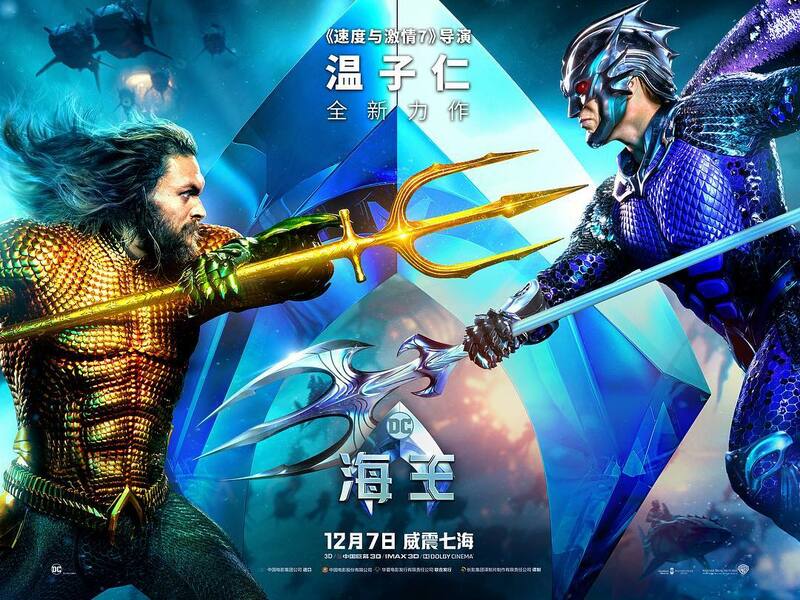 Today we got a new poster for the film’s Asian release that pits Mamoa’s Aquaman against Ocean Master.